Larry Vickers is a respected firearms trainer who has served with the U.S. Special Operations Forces (SOF). In the course of teaching classes he’s learned that many gun owners waste money on impractical gun accessories. In his recent Ammoland.com article, “Don’t Be a Tacti-Cool Fool”, Vickers examines today’s trend of over-accessorizing firearms, particularly AR-platform rifles. Vickers doesn’t mince words… he states that too many people are spending too much money on poorly-designed hardware that may be “useless” at best. Share the post "Larry Vickers Speaks the Cruel Truth about Tacti-Cool Hardware"
Nineteen members of the U.S. House of Representatives Ways and Means Committee have challenged plans by the Obama administration to provide the names of disabled Social Security beneficiaries to the National Instant Criminal Background Check System (NICS). This would result in the classification of these beneficiaries as “prohibited persons” who are not allowed to acquire firearms. The Representatives say this proposal would violate the spirit of the Americans with Disability Act and threaten the Constitutional rights of law-abiding older Americans. It has come to our attention that the Social Security Administration is considering a policy to provide the names of Social Security beneficiaries who have a “representative payee” to the National Instant Criminal Background Check System (NICS) in an effort to limit [their] Second Amendment rights. This would be a dangerous overreach, and we urge you to abandon any such plan. The representative payee system is vital for beneficiaries who need assistance managing their own finances. Millions of responsible seniors and people with disabilities rely on a representative payee. Simply using this system does not mean beneficiaries are a risk to themselves or others. Old age or a disability doesn’t make someone a threat to society. Having a representative payee should not be grounds to revoke constitutional rights. We strongly urge you to halt any steps to provide information on Social Security beneficiaries or Supplemental Security Income recipients to the NICS. Share the post "Congress Members Oppose Efforts to Deny Social Security Recipients’ Gun Rights"
The new F1 Chassis System from Competition Machine is now in production. This straight-line, all-metal chassis with ultra-low bore axis is optimized for F-Class competition. Designer/builder Gary Eliseo tell us that Competition Machine is now accepting F1 Chassis orders for fall 2015 delivery. To order or if you have questions, email Gary via his website contact page. Long Wheelbase — The long separation from front of stock to rear bag-rider improves tracking and reduces the tendency to jump or twist (torque). Adjustable Offset — The bag-rider section of the fore-end can be adjusted left to right. This adjustable horizontal offset allows you to choose if you want the fore-end offset left, right or center. Adaptable to All Shooters — The F1 Chassis System features adjustable length of pull, buttplate drop, and cheekpiece height. Stress is the enemy of accuracy. For this reason the F1 Chassis system features a “zero stress” barrel mounting system which uses a barrel block securely bonded to the barrel (with an epoxy-type adhesive). This allows the action to float, relieving all stress from the threaded joint between the barrel and action and all flexing of the action. With this unique “floating action” design, the F1 chassis is compatible with ANY round rifle action. Replacement barrel blocks are available so you can run multiple barreled actions with your F1 chassis. When it’s time to replace the barrel, the barrel block can be “unbonded” and adapted to a new, same-diameter barrel. Share the post "Eliseo F1 F-Class Chassis System Enters Production"
One of the most popular events at the Camp Perry National Matches is the CMP Rimfire Sporter Match. This will be held Saturday, August 1st, 2015 at Camp Perry. The match attracts shooters from 8 to 80 years, both novice competitors as well as experienced marksmen. Rimfire Sporter stresses fun, accessibility and practical marksmanship skills. It is a great game for shooters who want a target event that does not require expensive rifles or gear. Rimfire Sporter tests shooters’ skills in three different firing positions, at two different ranges, in both precision and rapid-fire shooting. During the match, competitors fire smallbore sporter rifles from 50 and 25 yards. Rifles may be manually operated or semi-automatic and supported with sights or a sling. Choose whatever sighting system you prefer — there are classes for both iron sights rigs and scoped rifle. Competitors will complete slow fire prone, rapid fire prone, slow fire sitting or kneeling, rapid fire sitting or kneeling, slow fire standing and rapid fire standing shot sequences. There is no minimum age for the match, but all competitors must be capable of safely completing a 60-shot course of fire. 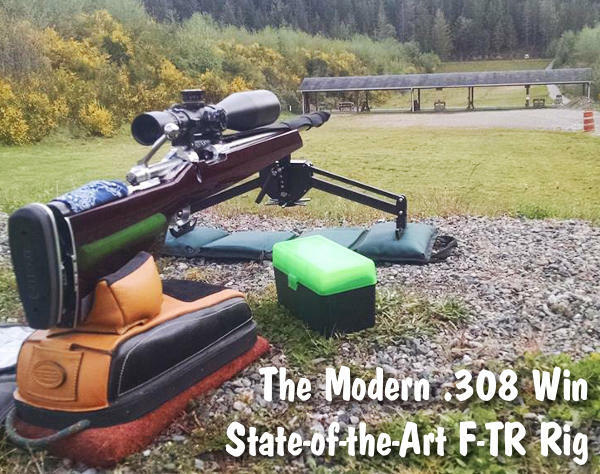 Three different classifications of rifles will be used during the competition: “O Class” for open-sighted rifles, “T Class” for telescope-sighted rifles and the recently-added “Tactical Rimfire” class. High Juniors and Seniors, as well as Overall winners will be named for each class. For those wanting to learn more about the match before firing, an instructional Rimfire Sporter Clinic will be held on Friday, July 31 from 4-6 p.m. to cover rules, Course of Fire, safety instructions, and competition procedures. This FREE CLINIC will include demonstrations and presentations by qualified members of the CMP. 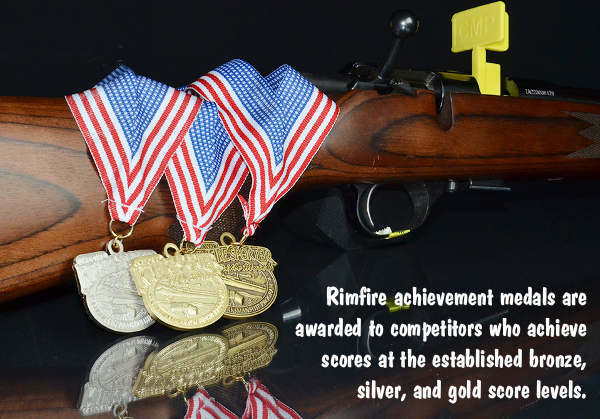 Competitors with no previous Rimfire Sporter Match experience are strongly encouraged to attend. To learn more about Rimfire Sporter Competition read AccurateShooter’s Guide to Rimfire Sporter Shooting. That comprehensive article explains match rules, rifle equipment standards, and the course of fire. In addition, the article illustrates the shooting positions, and explains how to start a rimfire sporter match at your local club. Share the post "CMP National Rimfire Sporter Match at Camp Perry"
The ancient benchrest alchemists once predicted a perfect storm for small groups. The recipe is: one part near ideal shooting conditions, 90 of the best benchrest shooters in North America and mix with the shooters’ best barrels and bullets. Place the entire concoction at the shooting benches for seven minutes at time. The result in Heavy Varmint (13.5-lb rifles) at 100 yards, for example, was that the top 17 shooters averaged under .200 for their five targets! Yes, nearly the entire Top 20 in HV100 shot a “teen agg”. Ten or fifteen years ago, that would have been unthinkable. Sure, the winners or top two or three would be in that rarefied air, but not half of an entire relay of 40 shooters. Remarkable. Another landmark of the 2015 IBS Nationals was that 17-year-old Wyatt Peinhardt of Quarryville, PA won the 200-yard stage of Heavy Bench. That meant he earned his first point toward the U. S. Benchrest Hall of Fame (HOF). You need ten to get in, but young Wyatt has plenty of time to get the other nine. He is no ‘flash in pan’. The young Mr. Peinhardt has been shooting since 2009 and now runs full speed with the big dogs of the sport. He was in the Top 20 in this year’s Super Shoot 2-gun results. Frequently he battles his dad, Jeff for supremacy at the bench. Strangely enough, here at Weikert in the Sporter Grand Aggregate (average of five targets at both 100 and 200 yards) Wyatt and his father tied right down to four decimal places: 0.2317! Some say that the Group Nationals are a marathon — six long days of competition at both 100 and 200 yards with four classes of rifles: Light Varmint (10.5 lb); Sporter (10.5 lb – 6mm minimum caliber); Heavy Varmint (13.5 lb) and Heavy Bench (known as ‘Unlimited’ in NBRSA-land). The first three are simply known as the “bag guns”. Most competitors use a 10.5-lb rifle in 6PPC and compete in all three classes. The Heavy Bench (HB) class requires 10-shot groups as opposed to the 5-shot ones for the bag guns. There is no prohibition to shooting your 10.5-pound rifle in HB, but a shooter is simply outclassed by the rail guns, especially for 10-shot groups. As mentioned, the week’s weather was very good. After what seemed like weeks of on and off rain, the central Pennsylvania weather gods smiled on what is considered one of the most beautiful ranges in the USA. The shooters had nice sunshine and instead of the usual Weikert blow, they were treated to light zephyrs. It was a glorious week to be at a rifle match. The sequence of competition groups has 100-yard targets shot the first three days followed by three days at 200 yards. It is done this way to require only one change of wind flags. Nationals competition requires ‘full rotation’. That means that every time a shooter goes to the line for the next match target, he or she must move a requisite number of benches to the right. At the end of the day a shooter will shoot across the full width of the line. Some ranges offer unique properties that render some parts of the range harder or easier to shoot small groups. Bench rotation is important to even out those factors. Monday morning saw the Heavy Bench (HB) shooters hauling the big rail guns to the line. 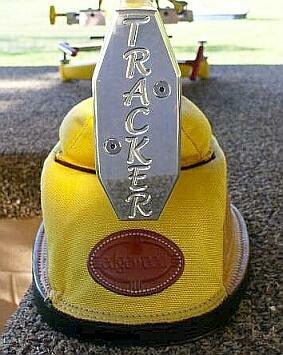 Old pro Jack Neary led the way at 100 yards with .2186 Aggregate. The 200-yard stage for HB would not be held until Saturday morning. The winner there, of course, was Wyatt Peinhardt with his .2993 (MOA conversion for 200-yard scores). On Tuesday the bags guns came out for Light Varmint (LV) and Sporter (SP). Conditions allowed for quite a few very good groups. The top thirteen shooters in Sporter shot ‘teen aggs’ with Bart Sauter leading the way at a .1666. In Light Varmint, Wayne Campbell shot a tiny .1556. Both his warm-up and first record target were in the ‘zeroes’ (.096 and .088)! Wednesday’s 100-yard Heavy Varmint match enjoyed what were probably the best conditions of the week. You needed to average under .200 for five targets to finish in the Top 20 or nearly so. Harley Baker won with a .1616. The talk in the loading area was Baker’s fourth record target — a tiny 0.050 bughole centered right in the center ring (usually called the ‘mothball’). It was probably the prettiest target most had ever seen. Better yet, the standing IBS HV 100 record is a 0.052 shot way back in 1980. Harley’s target is being submitted to the IBS Measuring Committee as a potential IBS record. Wednesday afternoon saw the moving of flags for the 200-yard stage of the competition. The SP and LV 200-yard targets were Thursday’s course of fire. In LV, Andy Shifflett shot a .1966 Aggregate to pick up a HOF point. At 200 yards, Aggregates are logged in MOA units. Therefore, Andy’s .1966 Aggregate translates to an average 200-yard target measurement of slightly less than .400″. The afternoon was reserved for SP targets. Billy Stevens shot a .2060 to win the afternoon’s contest. For decades IBS has hosted an exhibition shoot on the afternoon of a day when only one Aggregate is contested instead of two. It is called the Powderpuff and is intended to allow family members and others that do not shoot competitively to give benchrest shooting a try. Each shooter is assisted by a coach who instructs the shooter. World-class shooters such as Gene Bukys and Lester Bruno give their time and talents to assist novice shooters. There is no time limit to rattle the inexperienced shooters. Barbara Hottenstein continued as the Powderpuff chair and assembled a large array of awards and prizes. The competition is financially supported by the IBS President’s Fund. This year we had 12 youth and adult competitors. Pam Campbell won the adult category while Jaydin Johnson (shown above with coach Nancy Scarbrough) won the youth division. On Friday, a single Aggregate of five record targets were shot-for Heavy Varmint (HV) at 200 yards. Harley Baker had his mojo working with a .1896 Aggregate. That performance, coupled with Harley’s .1616 at 100 yards meant that his average in the HV class was a .1756 Grand Aggregate. That is small. Really small. On Friday afternoon, many of the awards for bag guns were given out. Saturday was reserved for HB 200. Since some of the bag gun shooters do not shoot a rail gun, a number of competitors left Friday afternoon. The rail guns came out to contest 200 yards on the last day of the Nationals. The winner was Wyatt Peindardt. His .2993 was the only Aggregate under .300. Wayne Campbell was second with a .3028. Winning the HB Grand Aggregate was two-time Super Shoot winner, Larry Costa. IBS recognizes Aggregate performances as follows: Grand (100 + 200) Aggregates in each of four classes; Two-Gun (all HV and LV targets in 100 + 200); Three-gun (HV, LV, SP in 100 + 200) and 4-gun (HV, LV, SP and HB in 100 + 200). In the multi-guns, Harley Baker won the Two-Gun. Gene Bukys added more HOF points by winning the Three-Gun. In the Four-Gun, Virginia’s Wayne Campbell who took the overall four-class Agg with an excellent .2326. CLICK HERE for Full 2015 Group Nationals Results on IBS Website. The IBS Group Nationals requires a ton of work to run smoothly. The Weikert range’s sparkplugs are Mark Trutt and Dale Boop. This shoot does not happen without those two. This year’s registration and general admin fell to Nancy Scarbrough, who ran a flawless operation. She was assisted by Will Baylor in the scoring and by Stacy Hynes. Steve Dodge oversaw the entire target crew while Larry Hertzog alternated with Mark Trutt as Range Officer. The benchrest cottage industry should be commended for giving back to the shooters. This year’s sponsors included: BAT actions, Black Hills Shooters Supply, Boops Sporting Goods, Bruno Shooters Supply, Hart Rifle Barrels, Jewel Triggers, JDS Bullets, K&M Precision Shooting, Krieger Rifle Barrels, L. E. Wilson, Pacific Tool & Gauge, and Shilen Rifle Barrels. Share the post "Match Report: 2015 IBS Group Nationals in Pennsylvania"